Get your HarpFest Pass here! 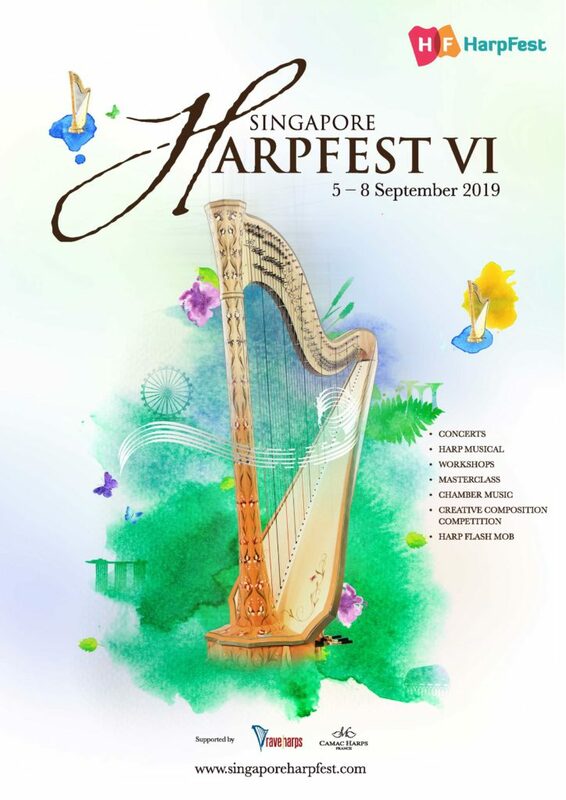 ENJOY all Concerts and Events in HarpFest VI with your FESTIVAL PASS! Application closes July 15, 2019. CONCERT TICKETS: Tickets to all 4 Concerts during Festival. – Experience Chamber music, Nanyang influenced Music, Classical Music and a brand NEW Musical! – Share the joy of learning the harp at any age, and meet fellow harpists with the same passion. – Learn how to be your own composer at your instrument and give your own voice to music. – Learn about harps of the various ages and how we come to have our Harp Today. – Have fun making friends from different countries and performing together. – Make History and Be Part of the First Harp FLASH MOB in Singapore! – Explore new music together with friends. – Explore creativity in your music and a chance to Showcase your work to public and win Cash Prize! – Share your events with your family members with Special Discount tickets. – No need to worry about meals and enjoy bonding time with your friends. – Perfect ending to a Fun Festival celebrating you and your friends’ achievements. ^ All HarpFest Festival Pass holders are invited to participate in “Harp Flash Mob” which is a fun session where all harpists play together! Music will be given to you upon registration. Concert Tickets available at www.sistic.com. HOTLINE: +65 63485555 or any SISTIC outlets.